Did Madonna Draw Up Marriage Contract To Control Guy? 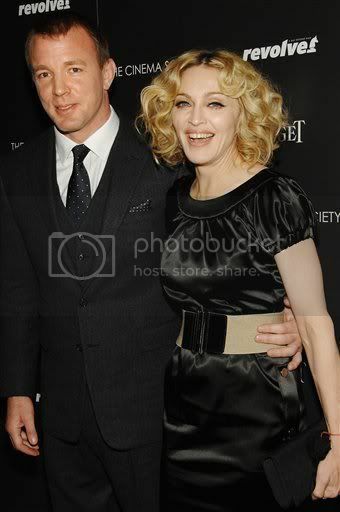 Madonna reportedly demanded that Guy Ritchie follow a “marriage contract” during the last two years of their union. Madonna is said to have written up the list of rules after they started seeing marriage counsellors in 2006. According to the Sun, the nine point document stated, amongst other things, that Guy had to “work to enrich his wife’s emotional and spiritual wellbeing” and devote several hours a week to reading Kabbalah texts and attending meetings. A source told the newspaper that Madonna displayed the document in the couple’s New York and London homes and would frequently remind Guy of its contents. A second source explained: “This is just another example of how Madonna tried to control everything during their marriage. She may have tried to control things but it did not save her marriage. The gloves certainly seem to be off as more and more info is leaked! Shalom In The Home! Madonna Calls In Rabbi To Help Marriage! Madonna: Reports Of Our Divorce Are Greatly Exagerated! Official Divorce Announcement To Be Released Soon? It Was All Downhill After Madonna Fell Off The Horse! Guy’s Silence Cost $20 Million!